Dubai, UAE, December 20, 2017: Skyline University College welcomed more than 1,300 students from 38 Arab and Non-Arab schools in the UAE at the 9th edition of Skyline Inter-School Sports Festival. The week-long sports fest that ran from December 4-10, 2017 concluded with a new set of champions in Football, Cricket, Basketball and Table Tennis. The Chief Guest of the awarding ceremony was Mr. Abdullah Al Kutbi, Head of Legal Department, Sharjah Sports Council. 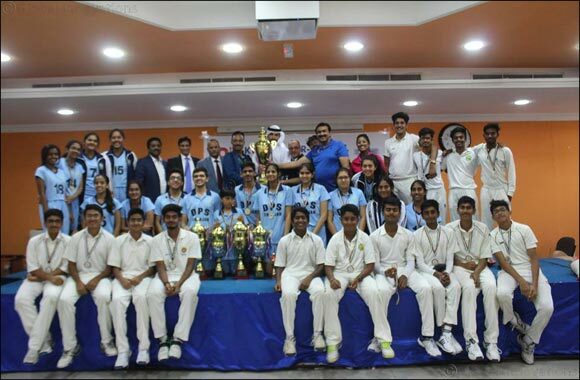 The Skyline Inter-School Sports Festival is organized annually by SUC Sports Department headed by Mr. Sanjay Benjamin.